Having become a landlord of a property you are in a position to gain financially from the lease of your property. But if you think that your problems have finished with the acquisition and refurbishment of your property, you are in for a bit of a surprise. For as a landlord, you are not only responsible for the upkeep of the building but also responsible for the people that you have decided to let the property to. There are a number of legal and safety requirements that you are responsible for. There are also the problems of troublesome tenants and potential damage to your building to contend with. The following legal and safety issues is designed to address these problems and to provide advice in case such problems arise. If you are a landlord, then not only do you need to keep your property in good condition, but there are a number of legal safety and maintenance issues that you must adhere to. If you don’t fulfill these duties then you will be potentially liable for any accidents that occur to your tenants whilst they are in the property. If you feel that these duties are too time consuming, then you can always get a property agent to help you with the requirements, although this will obviously cost you money and eat into your profits. As well as keeping your property safe, you need to make sure that it is well maintained. Whilst a poorly maintained property might not be illegal, it will surely lead to poor tenant demand and a lack of rental returns. As well as maintaining the property, as long as you follow a few simple legal requirements then both you and your tenant will remain happy and safe from legal trouble. Here are some of the most important laws that you need to address as a landlord before renting your property out to tenants. As a landlord you need to make sure that both the outside and inside of your property are well maintained and kept to a high level of repair. This is an important legal requirement, and not following it could result in serious injury or even death for tenants. Since the legislation was changed in 1993, you need to make sure that all furniture is fire resistant and complies with current regulations. If it does not, you could be liable for prosecution. 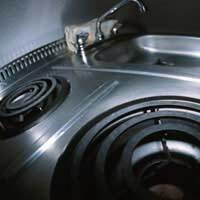 Gas safety is another important issue that you need to take care of as a landlord. You need to ensure that all gas appliances such as boilers and ovens are fully maintained and inspected for their safety and suitability. Electrical equipment is always a concern, and under legal requirements you need to make sure that all cabling, fuses and equipment is of the required standard and that it is regularly inspected for faults and damage. Finally, you need to make sure that all buildings, if built since 1992, are fitted with smoke detectors and alarms that are mains operated. However, it is advised that whatever property you have that you fit it with smoke alarms in all important parts of the property to ensure tenant safety. Whilst all of these laws and requirements might seem costly, it is extremely important that you take care of your responsibilities as a landlord. Not only will it give you a better chance of finding tenants, but it will also make sure you are legally covered should an accident happen. Failing to provide adequate safety measures could leave you liable for damages or legal action. As long as all the safety measures are met and you keep your property well maintained both inside and outside, you should find your property in demand from tenants. Keeping a safe and properly maintained rental unit will also ensure that you remain free from potential legal problems.